The process of life includes many types of pressure, strain and difficult experiences.  Chabad Jewish Center helps individuals and families live through the ups and downs in the most positive way. Jewish teaching itself provides a great resource for this. At a difficult time, a chat with the Rabbi or his wife may well help a person see things in a clearer perspective. At the Chabad Jewish Center one can get help in personal counseling on any aspect of life including marriage counseling. Our dedicated Rabbis and Rebbetzins offer counselling in times of crisis, personal issues, relationships, religious issues, etc. When necessary we can help a person in need to find suitable professional help. If you would like to benefit from this service please click here.